Australian Election 2019 - What Does It Mean For Foreign Investment? 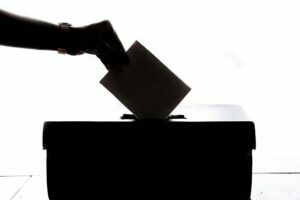 Australian Election 2019 – What Does It Mean For Foreign Investment? In 2017, Australia’s inward foreign direct investment stock hit $849 billion last year, thanks to the country’s resilience, strategic location, global trade ties, and sound political landscape. In the Asia-Pacific region, Australia stands head and shoulders above some of its neighbors in terms of GDP, demand for products and services, and growth. Indeed, GDP is expected to grow 2.8 per year between 2019 and 2023, the highest amongst advanced economies. But as the country enters into 2019 with an election on the cards, confidence in the market is vulnerable, and Australia’s foreign direct investment stock could waiver on market uncertainty. The federal election in 2019 will choose members for the 46th Parliament of Australia and will be held on or before 18 May (for half of the Senate) or 2 November for the House of Representatives and Territory Senators. As we draw closer to those dates, we take a closer look at the impact of Australia’s 2019 Election of foreign investment in the country. The Australian election’s impact on FDI could be huge. Australia’s Labor Party wants to make changes to workplace policy, such as reducing employers’ rights to hire people on casual labor contracts, and increasing union rights to allow employees to bargain collectively across sectors rather than individual firms. The Party also wants to increase Australia’s minimum wage (currently $18.93 an hour, or $719.20 a week), eliminate the gender pay gap and increase the rights of workers across all sectors. Specifically related to foreign investors, the Labor Party wants to reduce the use and power of the Temporary Skill Shortage visa and limit the visa to big businesses, and reintroduce penalities for weekend work. The Party also wants to award more government contracts to SMEs based in Australia, in a bid to reduce the reliance on international firms and keep more money in the economy. As a foreign investor in the construction sector, the policy could have a major impact on securing government contracts and ensuring profitability in the country. A Royal Commission report on the country’s banking sector places increased responsibility on senior management in banks and insurance companies to improve conflict management and assess the relationships of banks with their regulators. Financial institutions investing in Australia may, upon reading the Royal Commission report’s findings and see the increased levels of responsibility, divest some of their assets in the country to reduce their level of risk. Policy changes in renewable energy could open new opportunities. Australia is often considered a gateway to Asia and to its renewable energy sector, but it is Australia’s own energy market that could change after the 2019 Election. Labor announced a policy in Victoria that would offer subsidies for homeowners who have solar battery storage, in a bid to increase renewable energy in the state to 50% by 2030. This represents a major opportunity for businesses in energy, who could tap into Victoria’s population of 6.359 million, many of whom looking to invest in solar panels to receive the new government subsidies. 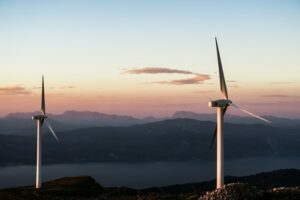 The Labour Party in Victoria has also proposed a fund to develop renewable technology in the country, on top of the $10 billion being invested by the government in the Clean Energy Finance Corporation (CEFC). In addition, the Party proposed an AU$1 billion Hydrogen Plan in January, designed to encourage energy storage technology investment in the country. Employer-sponsored skilled worker visas were overhauled in 2018, with some visas being replaced with the Temporary Skill Shortage subclass visa, making it harder for employees to obtain visas in some categories and making it challenging for foreign companies to find the right talent for their organizations – many of whom were once able to apply for a visa for as many of their foreign employees as required, but were then forced to look for talent locally. The Liberal-National coalition may choose to cut immigration levels in their policies, although the Labor Party is unlikely to favor a reduction in immigration. 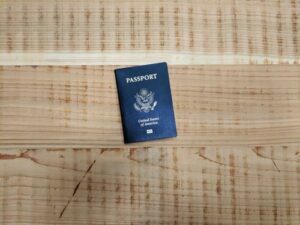 It may instead look to change the temporary work visas and provide more support and reassurances for skilled immigrants. As visa options for investors in Australia change, foreign direct investment could be affected. Changes to immigration could have an impact on FDI in Australia. Future Transport Strategy 2056 was designed to build a world-class, efficient and reliable transportation system in New South Wales over the next 40 years, and the Victorian Government’s AU$60 billion scheme will offer infrastructure contracts to both Australian and foreign contracting firms and banks. Developing hubs will create significant opportunities for foreign investors around the world, but with the Labour Party hoping to award more contracts to local businesses, foreign entrepreneurs must demonstrate their commitment to Australia by increasing their employment levels and investment if they want to be awarded contracts. Whilst we can’t predict the outcome of the Australian Election or influence policymakers, we can help you incorporate a company in Australia, navigate the political landscape and take advantage of new opportunities across various sectors. Our Australian-based experts are on hand to help startups and multinational businesses looking to expand globally and offer support in navigating the complexities of the changing Australian business environment. To find out more about our wide range of services, including commercial representation, due diligence and recruitment, and HR, contact the team on [email protected] today.